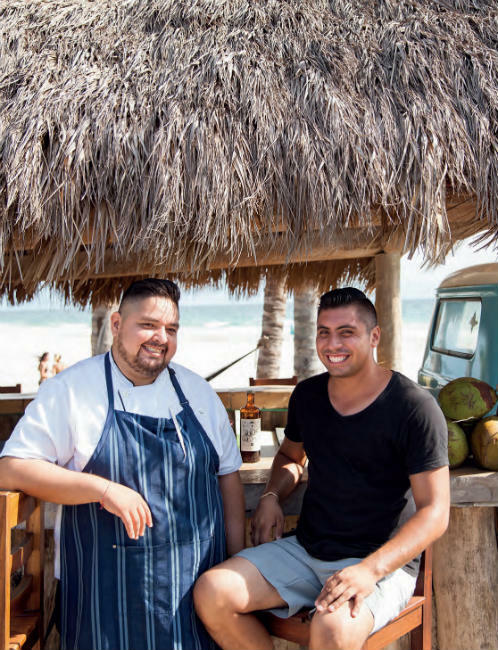 Mexico’s Pacific Treasure’s cuisine is front and center in August’s From the Source Cookbook with four delicious traditional recipes from four prestigious chefs. 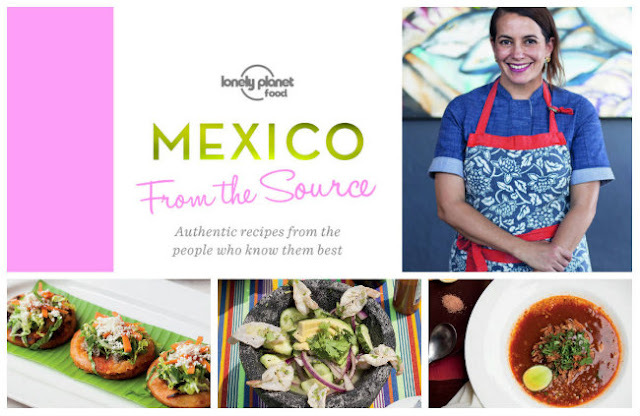 Lonely Planet, the top travel editorial house in the world, recently presented its latest From the Source Cookbook, Mexico Edition, that included the distinctive dishes of Nayarit straight from the kitchens where they were perfected by the most representative chefs in the destination. The book is comprised of 70 classic recipes from different destinations within the country, with a delicious mix of dishes from appetizers to desserts. Canadian Lindsay Laukner Gundlock, who lives in Mexico City, photographed all the recipes, which were compiled by talented writers. 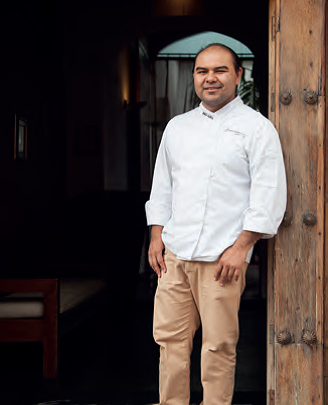 The recipes are accompanied by a bio of the chef who created them and a short history of each dish. 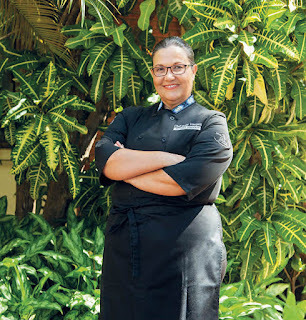 In the chapter on the Pacific Coast, written by journalist Michele Paterson, the Riviera Nayarit and esteemed Chef Betty Vázquez—owner of San Blas’ El Delfín restaurant and the Riviera Nayarit’s Culinary Ambassador—is featured with her famous Sopes de Ostión that are best enjoyed as appetizers in the afternoon or on the weekends on El Borrego beach. “Corn is a big part of our history and our traditions (…) we can’t imagine a meal without tortillas,” comments Vázquez in the book. Chef Manuel Alejandro Jiménez Magallón’s entry is the Ceviche Punta Mita with habanero chile, red onion, coconut, apple and melon. Jiménez is the head of the Cevichería restaurant at the W Punta de Mita hotel, a bar installed in a Chevrolet 3800 pickup truck. “We personalize each ceviche according to the guest’s mood and personality,” he said. To that end he has on hand a variety of ingredients including everything from wasabi, tortilla ashes and pea sprouts to mescal and dried ancho chiles, which serve as design elements. 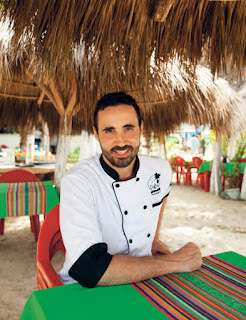 In order to compile the recipes, take the pictures and taste the different dishes, Paterson, who hails from Ontario, Canada, traveled to Nayarit in September of last year. She visited the traditional villages with the full support of the Riviera Nayarit Convention and Visitors Bureau (CVB). From the Source is a series of books on innovative cuisine that introduce foodies and travel enthusiasts with the most authentic dishes in the world, taking them to the kitchens where they were perfected. Each edition is specific to each country and offers sumptuous original photography, up to 70 classic recipes, as well as backstories and tips from the best local cooks from around the world, from sellers of street food to those awarded with Michelin stars.